Coffee capsule brand Mr & Mrs Mill of the European Top 3 roaster KRÜGER Group has developed a premium offering that ticks all the boxes professional users demand. They are offering coffee capsules that are blended and designed to fit the mood you are actually in or attract explorers with interesting single origin coffees.” One of the nine varieties is named “Trust your strength”, a strong espresso, while “Don’t rush it” is a mild, balanced lungo and” Discover Rwanda” offers delicate floral notes. The company are seeking out and sourcing the finest coffees from around the world and all coffee varieties are slow roasted to unleash the full flavour potential of every single coffee bean. The capsules are even UTZ certified, which is the largest certification program in the world for sustainable coffee. Premium coffee capsules like Mr & Mrs Mill offer the consistent quality and broad variety of choices people demand today – as well as easy operation, maintenance and comparably low prices for the coffee makers. 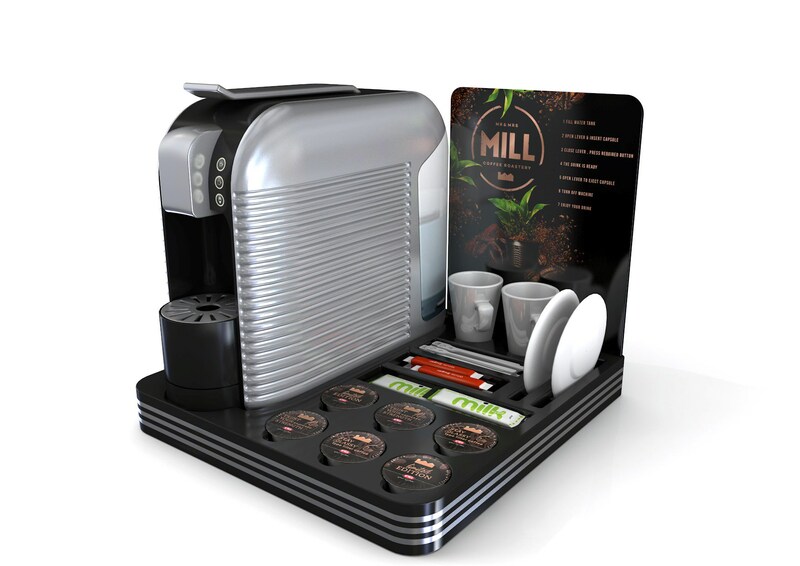 Mr & Mrs Mill coffee capsule are part of the multi-beverage K-fee® capsule system with machines ranging from small models up to fully automatic makers capable of producing cappuccino and latte made from fresh milk. To increase versatility, the fully automatic machines are also compatible with professional tea capsules from the legendary brand Twining’s of London and hot chocolate capsules from the authentic Swiss brand Caotina. In the UK, Mr & Mrs Mill is distributed by partner Shorrock (http://shorrock.k-fee.com).